- Jim Mangan is a thirty-seven-year-old welder with a wife and six Children. Unless the mayor can achieve a miracle, he and thousands of others will lose their jobs at the city's historic Naval Shipyard. - Linda Morrison is a city-employed policy analyst who believes urban life can improve if the mayor embraces unprecedented change. But will Rendell have the courage? Will she be able to sustain her love for the city, or will the pressures of crime and taxes drive her away? - Mike McGovern is a prosecutor whose anger at the urban violence of the city fuels his drive for justice. As he questions the personal cost of what he does, he faces one of his toughest trials, seeking life imprisonment for a teenager charged with murder. -Fifi Mazzccua is an elderly woman from the inner city raising four great-grandchildren while faithfully visiting her son in prison and hoping she'll live to see the day when he is freed. 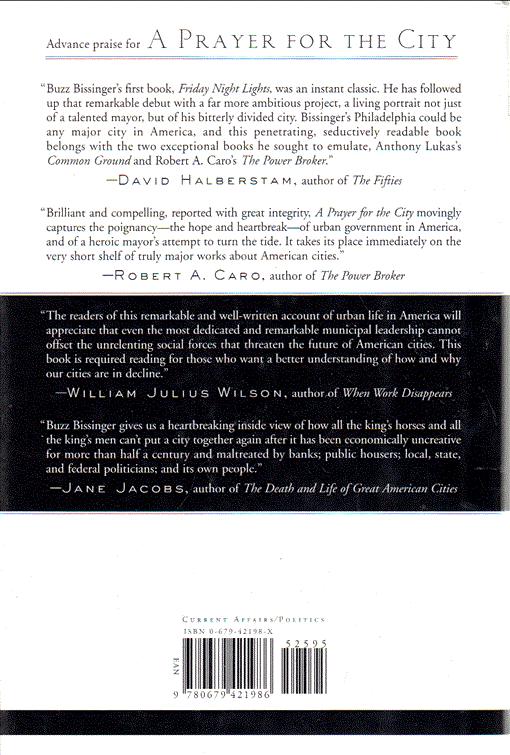 At turns heart-wrenching and hilarious, A Prayer for the City dramatically illustrates high-pressure politics and the threat of economic decline facing so many cities. 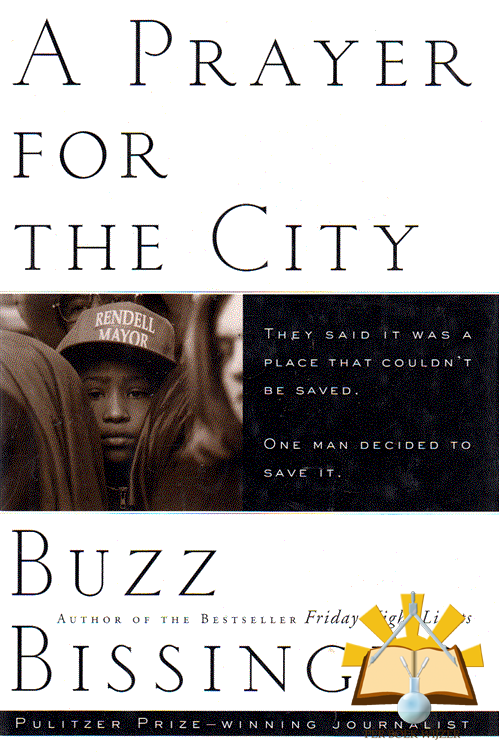 No author has ever written with such humanity and insight about a politician in power and the way cities really work. 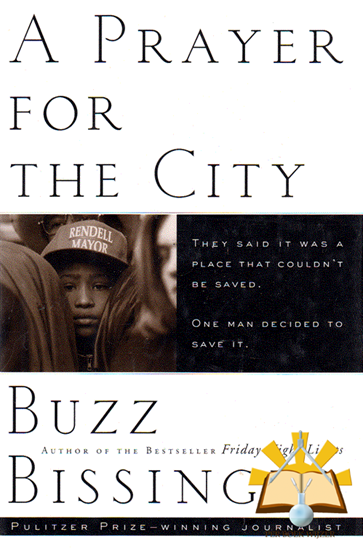 Buzz BISSINGER spent five and a half years writing this book, during which time he had exclusive access to Mayor Ed Rendell's administration. From 1981 to 1988 he was a reporter at The Philadelphia Inquirer, where he won a Pulitzer Prize for investigative reporting, and later he worked for the Chicago Tribune. He was a Nieman Fellow at Harvard University in 1985-86 and is a contributing editor to Vanity Fair. He is the author of the acclaimed bestseller Friday Night Lights. Hardcover. Stofomslag is licht vergeeld, heeft wat doffe plekken en iets gekreukt aan de randen. Boek oogt ongelezen. Er is niet in geschreven of gevouwen.